Lack hasn't jived well with coach Bill Peters, and his play this season has been subpar. The Hurricanes will try to move him, but the market may be limited. Lack has two years remaining at $2.75 million per. The Pavelec-Jets saga looks to be finally coming to an end. Whether he finds himself an NHL job again could depend in part on his health. Something has to change after several consecutive seasons of mediocrity in the Stars crease. Lehtonen or Niemi could be a target for a buyout and headed to the free agent market. Helped salvage the Flames season when Brian Elliott stumbled early on. He's established himself as a clear backup capable of putting up respectable numbers. Has played well in stretches for the Ducks, who may want him back. Otherwise, it's off to market for the 28 year old. Showed he's still a capable NHLer after several seasons banished in the AHL. Will likely have to sign cheap as a backup somewhere. The travelling backup has demonstrated consistency in both Montreal and Ottawa the past few seasons. If he hits the market - which may not happen considering the Sens desire to bring him back - he will be highly sought after. Generated some interest from the Oilers at the deadline, but nothing got done. The Isles will look to move him in the summer, likely retaining salary. His days as a clear cut starter may well be over. Rumours suggest he's heading to market, despite a few rumblings the Canucks might want to extend him. 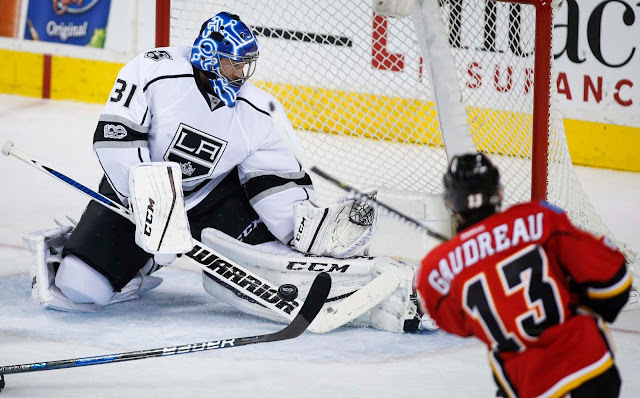 The Kings may target him as a backup capable of giving Jonathan Quick some extra nights off. With the Flyers re-signing Michal Neuvirth to be their goalie to protect in the Vegas expansion draft, Mason suddenly looks like the odd man out. The Flyers haven't closed the door entirely, but it seems likely he's headed to market. The Blackhawks may not be able to hold onto Darling, who wants a chance as a starter next year. The Stars are a rumoured possibility. It's entirely possible the Flames re-up with Elliott, who has emerged as the Flames go-to guy down the stretch following a shaky start to the season. If not, he'll easily find work as a starter or tandem guy. Fleury will almost certainly be off the Penguins roster by the Vegas expansion draft. The Pens will look to trade him before the June 17th deadline to submit the list of protected players. Failing that, they may have no choice but to buy him out. Either way, the Vegas Golden Knights will be among the teams trying to get their hands on him. The Flames and Stars are other possibilities. Bishop's stay in Los Angeles will be a short one, as the veteran netminder looks to cash in on the open market. Dallas and Calgary have been rumoured, but it could be a wide open field.